Hi my favorite readers! One of my previous blog posts consisted of an exercise involving kneeling after a total knee replacement, done on the floor. In the blog post I stated that I could do it. After giving it some more thought, I realized that was an understatement. A heavy duty understatement. Here’s the true story…. The end of this week will be my one year post-tkr date. How hard could it be to kneel on the floor? I found kneeling on the floor after a total knee replacement to be a curious endeavor since in theory it seems like a great way to get more flexibility in my tkr knee. So, anyways…I tried the exercise out for size. Kneeling on the floor involved my hanging on for dear life to something with each of my hands as I SLOWLY lowered my body to the floor. It was not a pretty sight. Once my knee hit the floor, I would not call it kneeling. It was more like a dreaded bend that was begging to be stopped. So after two seconds, I did. As I held on to the sofa with one hand, and my exercise bike with the other hand, I started to lift myself back up. Sure is good that neither of those two vices could tip over. My return to an upright position was another vision for sore eyes. 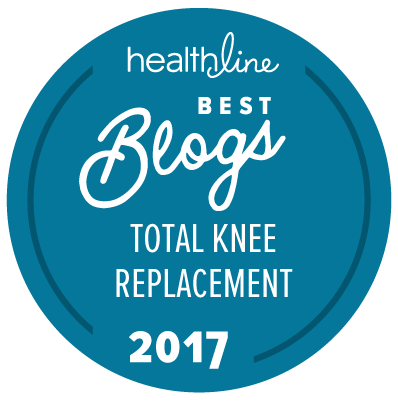 Find this post about kneeling after a total knee replacement interesting? Kindly share…Thanks! This site is owned and operated by Marie Buckner, a published author and tkr patient who has been living with various physical conditions for over 30+ years. She enjoys sharing her experiences to help others going through the same thing. omg! i am so glad that you were the brave one to try this exercise. i am reading this and imagining the whole thing as you were going DOWN. too funny, but not to funny if you would of fell. hey you gave it your best shot. i am so gald that this excercise is only for the tkr people that are at 12 months post op. i have another 6 months to NOT think about doing this. take care and keep up the great writing. i love it! I know how you feel. You were very brave to do this all by yourself. My PT wanted me to get down on the floor. She said studies show that people who are able to get up off the floor are more satisfied with their TKR than folks who are unable to perform this exercise. She put a padded pillow on the floor and I slowly placed my unoperated knee on the pillow followed by the other one. Then I placed my hands on the massage table and pulled myself up. I thought that would be good enough but au contraire. Next exercise was to get down on the floor AGAIN on all fours and using my legs pull myself up into an upright position. This did not happen! I ended up dragging my carcass over to the pillow and table and hauling my body up. End of that exercise. What did I learn? Don’t ever get on the floor unless I absolutely have to and I can’t imagine what would cause me to do so at this point. The other thing I learned is if I must get down on the floor, make sure I have a muscle-bound man in the house; make that a young and strong muscled man in the house. Wow, I can see we don’t all have the same flexibility! I have been on my knees for over 3 months now and I’m 7 months since surgery. I started when I wanted to do bridges on the carpet in our living room. First few times, I would go off the sofa from a sitting situation and then get on my knees when I needed to get back up. It wasn’t pretty and it was a little uncomfortable. I had a total hip replacement on the opposite side of my tkr last March. I don’t know if I would have tried to go on my knees if a friend of mine who had tkr a month earlier wasn’t already on her knees. Now I go down on my knees and get up much easier. I still don’t have the strength to get up using the tkr knee though, I use the other foot to get up so my tkr knee is still on the carpet when I get up. Can’t say there is much pain in my knee when I get up this way though. Don’t give up, it will come along one day. hey debi, i’m with you on that. i need to try a bubble bath sometime. it sounds great. but i guess i should wait until my hubby is home incase i can’t get up too. i would hate to be in the tub ALL DAY. lol . i’m just thinking that the only ones that are having fun with the recovery of our tkr, are the ones that are helping us out of the bubble baths and showers! haha. summer can’t come soon enough for me either. since my surgeries i love my pool. take care. I am 6 weeks post op for my tkr. My doctor has told me I should never kneel again, as it compromises the prosthesis. Is this “kneeling” exercise something that your therapists have advised? I hope you don’t mind me gate crashing your party, but haven’t personally had a TKR. However, my mother, who is 85 had one on the 18th April. I’m a nurse and have been taking care of her post operative rehabilitation, hands on in the first week and by distance since then. As she was signed off by her surgeon to fly and drive last week, I arranged for her to come to stay with me in a Mediteranean seaside location, where I have been practising yoga with my teacher Melanie Willsher for 3 weeks. When she arrived, Mum’s leg was noticeably swollen and discoloured, she complained of pain. She said that she was scared of kneeling and hadn’t yet been on the floor. Melanie spent an hour with her in her studio, teaching her exercises to reduce swelling, and increase flexibility and mobility. And as all the exercises were done lying on the back, she also taught her to stand up from the floor. Immediately after the class, the swelling and pain had disappeared. This lasted for two full days. Most imortantly, we went to the beach afterwards and Mum laid down on the beach for a snooze and then got up spontaneaoulsy without even thinking about it. I really would recommend yoga to all of you, who are scared to get on the floor or kneel. Swimming seems to be doing me a million worlds of good the past couple of weeks, so I will swim non stop until Labor Day, then whine for weeks after that when we shut down the pool. When I get filthy rich (lol) I will have an indoor heated pool! And now, I must go pull some weeds…..without kneeling on the ground! I had my TKR on the 6th April 09 released from hospital on the 10th April 09. My question is; The outside of my operation ‘cut’ has still not really come back to life ie still partly numb–is this common amongst you fellow sufferers and if so how do I get the full feeling back? Hi Dennis, if you are talking about the outer side of your knee area, then yes, it may stay numb forever……due to some nerve they cut during surgery…..as my swelling has gone down, mine is less numb than at first, but a definite numbness as compared to my other knee. Also, your knee in generally will feel much warmer to the touch because it is healing from the inside out…..regular exercise is the key to recovery….I am at eight months post op…..
My incision area is still numb. I am 17 months post tkr and there is a 1″ radius around my entire scar that has no feeling. Debi is right…exercise is the key to recovery. I’m replying partially in my capacity as a nurse, and partially from how I’ve observed my mother’s healing. Numbness often persists for varying amounts of time after any incision, depending on which nerves are incised on the path through the skin layers, as nerves tissue is the longest to heal in the body. It’s nothing to worry about, and although sensitivity could take up to a year to return fully, it usually does return. Other indicators of the state of nerve healing include swelling and difference in colour compared to the other. The way I countered this aspect in my mother’s case was to apply massages to the area around the wound and by reflexology to the feet, two to three times a day. When I left I taught my father to do the wound massage. I use a 10% blend of an essential oil of her choice and a base oil of sesame. Other oils which have a high penetration factor and thus nourish the deeper skin layers include apricot, carmeline and hemp. Find a reflexologist locally and treat yourself to a weekly massage. And always remember….GOOD DIET and lots of fluids!! We understand about the sleeping discomfort. I’ve written various posts about that subject. Search through this site for more info. Good luck! It does get easier, just takes time. It would be very unusual for you not to still be experiencing pain and discomfort, especially at night, only 3 weeks post op. I would imagine that your physician has prescribed analgesics for you to take at your discretion, and I would advise you to try and balance the daily dose of analgesics so as to take account of when the pain peaks. If you have the greatest pain at night, take your last intake of pain killers just before you go to bed so that they will be giving you maximum effect throughout the night. Don’t be frightened to take pain killers for as long as you need them, as the need will diminiish as the healing takes effect. Also, if you have a cold pack, apply when you go to bed to help you get off to sleep. It should take about 6 weeks for the debilitating nd imobilising effects of pain and swelling to recede. Stick with it, it will get better! Karen, thank you for mentioning reflexology. People kept telling me to go get a massage but it wasn’t my body that was hurting. I started massaging with vitamin E and coco butter on the knee and found that to help. But my ankle was also aching and had my husband massage it. I found out there is a reflexologist just a few houses up the road and was highly recommended. Again that you for posting. The above comments on TKR were very helpful. It seems we all recover in different periods of time. It is 20 weeks since my op. and can only bend to about 80 degrees – the leg is still numb but improving. I find sleeping with a little pillow between my legs is comfortable. Before the op I was dragging my leg now I can almost walk normally. Still need exercises. lol…I have caught myself almost doing the same thing….because my bed is so tall, it’s easier to climb in than to sit on and turn…. This has been very informative for me. Had my tkr in feb and was wondering about the numbness and pain I get every so often in bed behind the knee. I am over 4 months post op, can anyone tell me how long the tight band round the knee lasts please?? Thanks for leaving your comment. The front of my knee is still tight on a daily basis. It loosens up after exercise, however. Hope this helps. Thanks for reply. My knee is at its best (if you can call it that) first thing in the morning. I can walk about without my sticks….. Then it starts to tighten and get very painful….. I do my excercises 3to4 times a day. Had xray today and its OK…. Doctor can’t explain why I am in a lot of pain……just says some people can take a year to feel ok……and 5% dont get any better…….. feeling very down with it all……Sorry to moan. You’re feeling down is totally understandable at four months post tkr. This just shows how we’re all different in some way. My knee is tightest first thing in the morning. Then, it loosens as the day goes on. Don’t let your doctor convince you that you’re in the five percent that won’t get any better. Due diligence on your part will pay off. Thanks for reply, it does help to have somone to talk to. Today is the first day that I hav,nt had a lot of pain when walking, it still feels very stiff and I still feel as though I have tight bands around my knee, but the pain is bearable…….I hardly dare hope that this is finally when things start to pick up. Yesterday my doctor perscribed Gabapentin for the nerve pain, but I have only had one (last night) surly they dont work that fast!! Fingers crossed that I still feel a bit better tomorrow……..Thanks again Booktoots….. I am five months post op on one knee and two and half on the other. I’m 46 years old and have gained 25 lbs since the first surgery. I’ve joined the local gym and am getting back into cardio for now. I can’t seem to find anything that gives me an idea of what I can do safely. I’ve been on the treadmill (which is more comfortable walking than the pavement), eliptical and stationary bike. It feels great, but I just want to make sure that I’m not going to damage my knees. P.S. this is the best thing I have ever done. Can’t believe how many years I lived in such total pain!! My knee has gone very stiff and painful again. Xrays showed knee is OK, but I am 4 months post op and if anything, the pain is getting worse. What can I do when everyone says everything is normal …….can it take 12 months to feel better??????? I am at wits end. So wish I could rip the ********** thing out…..
My doctor warned against kneeling without having some kind of padding for your knee when you are trying to get up, so in the jacuzzi, I put a large towel, folded as tightly as I can make it under my TKR knee. I stand using my forearm for leverage on the back of the tub and use my non-TKR leg to bring me up to standing. (Sounds strange, but seems to work.) I had purchased a lift chair at first, but I wanted to be deeper in the tib than it allowed. I have a jetted tub, but I will only get in if my hubby is home, for fear that I can’t get out by myself! I’m so afraid of slipping, falling and bumping my knee……I can get out by myself now, but it takes a lot of maneuvering…..still scares me! Susan, I was wondering why your Dr is telling you to take it easy. If, after 6 months, your body is telling you to go ahead and get active, then, as in Dylan’s words quoted above: “Trust yourself”. Unless of course, there are some mitigating circumstances, in my practice I tell my patients to follow their instincts. In my experience, my patients instinctively know what’s right for “them”, and I avidly encourage and support them to follow the advice of the healer within. As I mentionned in earlier postings, my 85 yr old mum had her op on 18th April, and hasn’t looked back, but has been doing a lot of looking down, since: on 9th July, she climbed the 311 steps and 202 ft of The Monument to the Great Fire of London. She’s climbed London Bridge, Arc de Triomphe and various church steeples and monuments, and is catching up on all the things she’s missed out on for the ten years she avoided having the op. She said she wouldn’t think twice about having the other one done, if it came to it. Finally, the most important thing is that it has turned her whole life round. No longer having to take all those pain killers, she now has the appetite of a horse. Eatng healthy, good size adult portions has brought her vitality and vastly improved her physical and mental well being. Wishing you all an excellent recovery, and a healthy and happy New Year. Wishing you all a wonderful New Year. I am 10 months post TKR and loving it! The 2nd knee surgery is scheduled next week. For all of you I say be patient and work hard on your therapy. The kindest thing my OS did was to say it takes at least a year+ for total healing. My TKR knee is stable, strong and my new friend. Yes, some pain at times still , a wee bit of swelling and discomfort at night if I walked a great deal during the day. Advil works most of the time for relief. Training is the bike and elliptical but not the treadmill. That comes later. Good luck to all for a complete recovery. it’s 2 years this april since l had knee replacement–still can not put any weight on knee when kneeling—Lord help me fell and landed on knees had an awful time geting up–fell a second time landed on my side but had to roll onto knees to get up, very painful. you bet l avoid kneeling–unable to even on bed which has a solf foam rubber pad. is this normal???? puting off second knee replacement because of this. I am 1 year on my left and 1 1/2 on my right knee. I came on this web site to see if kneeling was possible. I can’t kneel, it feels uncomfortable and hurts. I do know that excercise is the key to getting back movement and strength in your knee. I do water aerobics which has done wonders for me. If my knees hurt at night I use a warm rice pack and they feel better right away. TKR he has not improved and still swollen and he cannot be his leg more than 50%. He is exactly where he as 2 months after surgery. Has done every excercise, walks, tries to do things he just cannot do. Doctor says everyone is differenet and it could take a year. i see no improvement coming over the next 3 months. My husband had a blood clot in this leg and it did leave the vein with some obstruction. I am not sure if they could have anything to do with the swelling and stopping him from improving. Don’t compare your husband’s recuperation with others. It can be too frustrating. Sorry to hear about your husband’s dilemma. We don’t offer medical advice here. I would, however, recommend finding another doctor if you’re not happy with the one you have. If your husband has experienced circulatory problems, especially in the operated limb, then it’s not surprising healing is delayed. The components needed (oxygen, blood cells, protein, vitamins, minerals,etc) by tissue for normal healing to occur are delivered to injured body part in the blood stream. So, if the blood supply is sluggish or hindered by other factors then healing will be slower. Don’t worry, it’ll all come right, he’ll just need more time. Plenty of protein, good nourishing iron rich foods and fresh air are excellent adjuncts. Had replacement knee surgery a year ago this past Feb. Havedone very well, but asked my doctor about kneeling and he said not to. I am 71 and love working in my shop and doing yard work. I need to get on my knees often and now I feel I shouldn’t as I might do some damage to the replacement. Is this just a mind thing? If it is I can over come that. I just don’t want to damage the knee where the doctor would have to do some repair by surgery. Has your Dr provided any reason why YOU in particular should not kneel, or is he giving a general codicil of “one shouldn’t kneel after a TKR”? If there is a specific reason why YOU should not kneel, then I would suggest you follow the instruction. If there isn’t then I refer you to the following abstract, which summarises a study performed in Australia comparing real ability to kneel with patients’ perceived ability to kneel. Hope this is helps you to make up your own mind. unable to kneel because of discomfort in the knee. J Bone Joint Surg [Br] 2002;84-B:220-2. Hi All, I have had 2 tkr. Right knee March 2008, just in time for my 60 birthday, 2nd Dec 2008 just in time to dance!!!! at christmas. The biggest bonus is that after 20 years I am pain free. No more pills. I am back at work full time as a Practice nurse.Changing from sitting to standing very frequently. I have only tried kneeling in the babies pool on the steps, and then not my full weight, which is quite heavy, on them. I can walk well, steps are still daunting. (I must tighten the quads). I have tried the exercise bike, but I cannot bend the right enough to go all the way around and I landed on the floor trying to get off. Not a pretty sight and very frighteneing when you are in the house on your own. I did try having a bubble bath last May 2010. Again in the house alone, I need my head examined really. I struggled to get down. No water in the bath initially, couldn’t reach the taps, did not have a towel or phone. Bath slippery, had to do a “western roll” (any one remember them from high jump school day)to get out over the edge of the bath , as the knees do not bend enough and nothing to pull onto to get leverage to get out. My biggest “want” is to exercise to lose weight. But time is of the essence and there is never enough of it when you work full time. I am so thankfull, after 20 years of agony, with what I can do that I must not yearn after what I cannot do.I will keep trying and swimming is the best exercise, as it is non weight bearing and water is a good resistor. Roll on the summer. Nice to chat to you all. I will keep visiting the site. I have had both my knees replaced. The left in 2007 and just recently 10/2010 for the right. The left never did heal correctly and I found that the surgeon used a minimally invasive technique and an implant that is too shallow. It will need to be replaced within the year. Needless to say I got a different surgeon when my right knee went and it has been a totally different experience. I have full use of my knee with no pain to speak of now. Still can’t kneel but that is a small price to pay to be without the authoritis pain. I’m doing biking and eliptical at the gym as well as weight training and my weight is coming off nicely. Maybe when I lose this 60 lbs I’ll try kneeling again. I do yoga at home as it’s quite a site to see me getting up and down. I always had a good time in PT with full flexion and straightening occuring by 5 weeks. But I worked HARD on my exercises both at PT and at home EVERYDAY. With the first knee the tight banded feeling was there for over a year. With the right knee I never had it at all. The numbness is a given and it’s gone in my left and almost gone in my right so that just takes time. Finding the right surgeon made all the difference with me. I’m lucky to have good insurance so I got a top doc. Had to travel 76 miles one way but it was worth it. Hang in there and work hard. It will be worth it in the long run. My doctor advised the stationary bike and the elliptical but i’m not sure. Thanks for visiting my site. Personally, I find the stationary bike much better at specifically working my knee. The elliptical provided a more all-leg workout. That’s just me. You may be different. I am pleased to have found this site. My knees were replaced 6 and 8 years ago and for walking and normal living they are fine. its just the kneeling! I still cannot kneel, thus making gardening a bit more difficult. this year I had a bar fitted on the wall next to the bath and this makes it easy to get out. I sort of brace myself with one hand and hang on to the bar and pop my bottom on the side of the bath. all this looks pretty funny but only the dog is there to see. I had a couple of falls outside and getting up was difficult, now I am older my strength in the arms is a bit less. I’m really loving the theme/design of your weblog. Do you ever run into any internet browser compatibility problems? A number of my blog audience have complained about my website not operating correctly in Explorer but looks great in Firefox. Do you have any suggestions to help fix this issue? Thanks , I’ve recently been searching for information like this topic for a long time and yours is the greatest I’ve discovered till now. But, what about the conclusion? Are you positive concerning the source?|What i do not realize is in reality how you are now not really a lot more well-preferred than you might be right now. You’re so intelligent. Hi all, very informative and comforting to read the opinions of other people that have had tkr. I had both knees done, tkr, one in Jan 2011 and the left one in June 2011, I’m 63 years old. Everthing is a vast improvement now and I’m so glad it’s been done, I CAN kneel down but it feels strange to do it. There’s some sort of cushion inside, or so it seems so, basically, I don’t kneel down.After lying down I get up off the floor with a sort of glorified push-up using my arm muscles which works for me without too much trouble. It has limited the jobs I can do around the house, the inability to kneel, but it isn’t the end of the world. I’ve abandoned my bath simply beacause it was such an effort on my arms to get out. Great topic. I must spend a while finding out more or figuring out more. Thanks for excellent information I was on the lookout for this info for my mission. Excellent web site. Lots of helpful information here. I am sending it to some friends ans additionally sharing in delicious. And certainly, thank you on your effort! It’s a shame you don’t have a donate button! I’d certainly donate to this superb blog! I guess for now i’ll settle for book-marking and adding your RSS feed to my Google account. I look forward to brand new updates and will talk about this site with my Facebook group. Talk soon! It is now 2 yrs since my tkr, and still cannot kneel on the replacement knee. My surgeon did tell me that I would no longer be able to kneel, but aquaintances have disagreed with this comment, saying that they can kneel OK. Reading the above comments it would seem that others agree that kneeling can be achived. My other knee is way past replacement, but I am holding back, and putting up with the pain, so that I don’t lose the total abillity to kneel. If I was to fall, which has happened on a few occaisions, I would be like a beatle on it’s back, unable to gain the vertical position again, without help. It’s been six months since my TKR and I tried kneeling on a padded garden kneeler in the house. It felt very strange and I was nervous about being too aggressive so I didn’t use it in the garden. My biggest problem right now is the pain in my quad when getting up from a sitting position and wondering if it will ever go away. I didn’t have the pain before the surgery. Anyone else experience this pain. Hurts at night when repositioning myself, very annoying. I had both knees replaced in Jan 2011, top doctor, great results. I worked very hard on the PT and have great range of motion and almost no scars. I don’t find it comfortable to kneel though. It’s possible, especially on a pillow, but I tend to avoid it. I can’t understand why no one has developed yoga classes for TKR patients – ones who don’t kneel gladly. Pilates too. I enjoy reading everyone’s experiences. I was advised to sleep on my back for the first month and using the motion machine. After that I was advised to always sleep with a pillow between my knees if I slept on my side. Dr. said it won’t hurt the knees to kneel, but many patients are not comfortable with it. I never have pain, but any stiffness I feel from lack of sleep or tiredness goes away after exercise. Best of luck everyone! Hi i am 9 months post op TKR and i am able to kneel comfortably,my question is…..should i kneel? Thanks for visiting my site and posting your comment about getting out of a tub after a tkr. Are you talking about taking a bath or shower? If a bath, I’m not the person to ask. If a shower, hand rails are very helpful. I am 62, and was able to resume yoga (somewhat modified) and bowling (normally), plus add an hour a week of ZUMBA — just two and a half months after TKR on one knee. I am able to kneel, although the kneel feels just a little sore and a lot weird. But my doctor’s instructions had been to do whatever activities I felt I could do. So I’m reasonably cautious but doing pretty much what I want to do. I have even had a very hard fall on the new knee a few weeks ago, and although it caused a little bit of soreness, it was surprisingly no big deal. I feel very fortunate, and just want to do everything I can while I still have the physical ability. Fantastic feedback on your tkr progress. Kudos! Keep up the great work and check back often. I am scheduled to have both knees (Bilateral TKAs) on Dec 18th. Everyone is telling me I am crazy to have both done at the same time but my mother had one knee done and would never go back to have the other related to the pain after the surgery & I do not want that to happen to me. Also both my knees are so bad that I can’t imagine one would support me well and am afraid I would fall and break a hip next, if I only do one at a time. My doctor did not tell me I could not kneel after surgery but said it would be so uncomfortable I would not want to. I am a nurse and a gardener and at 67 feel well enough (except for my constant knee pain) that I want to be able to return to both. I also, up until a few yrs ago (3 to be exact) still roller skated (although it was painful) and danced with my grandkids. Sounds like I best not return to that but I want a full life again. The not being able to kneel will be a BIG problem if that is true! Busykay, not everyone has problems kneeling. I find that if I put a cushion under my knee when I kneel it’s not a problem. We are not all the same. Of course, wait until you are healed a bit before attempting to kneel. In time your knee will tell you what it can do and what it can’t. Good luck with your surgery. I had them done nine months apart so my left had healed enough for me to feel confident with it. At first, I didn’t ‘own’ my new knees and kept talking about “the” knee – instead of my knee. I’m still not comfortable kneeling but I’ve managed to modify my pilates routines a bit. Busykay, I had my left tkr done back in May of this year and was walking 2miles a day after just 7 weeks. My surgeon has told me that that I am one of the worst cases of artritus he has seen (for my age) I am almost 64 and In time I will need to have my other knee and both me hips done. I still find it difficult to walk downstairs and my knee clunk some. I am always on the go, probably doing too much, and for the first ten weeks had very little sleep due to night cramps which woke me up every 20-30 minutes throughtout the night, my doctor perscribed quining but with little or no results so I am now taking clomazipan just befor going to bed and that seem to have done the trick. We all like to trust our doctors but we are all different in our recovery times. 4 months on and I would say that I am just about now ready to have my other knee done. Having had the first one done I personally feel that I could not have coped with having both done at the same time. It is something that needs a lot of thinking on before commiting yourself to having both done at the same time. Good luck with whatever you decide. I had my TKR in September of 2013 and its been almost 4 months. I can walk ok but still use a cane but the thing that really bothers me is getting up after sitting for awhile. Once I’m up and walk for a bit I’m ok but that getting up is very stressfull and I hesitate every time because I know its going to hurt. Does anyone have this problem? Thanks for stopping by again and leaving your comment. “Getting up” is not an easy thing. Take a look around my site. I’ve written about this before and others have shared experiences. I’m so glad I found this site! For the plain and simple reason that the admin of your web site is working. I have no doubt very shortly it will be renowned, due to its quality contents. Keep up the great work! I love this post! up the great job. I’m sharing with my aunt, who just had a tkr. I had bilateral knee replacement surgery exactly 2 years ago at age 60. Reading this blog I feel very grateful for the results, i.e., no knee pain. One operation, one anesthesia, one rehab was my driving force to get them both done at the same time and I am convinced it was the right decision for me. My doctor told me I could kneel after range of motion and rehab was completed. Someone stated earlier it felt “weird” and I can relate as only someone who has had this surgery can understand that type of “weird” It is a perfect analogy. I’ve found a towel, foam or even a kneeling pad from Sears Craftsman section works wonders. Everything in moderation is key to success. Sometimes after a daily walk my right knee feels spongey so I rest it the next day, I would do the same with kneeling discomfort and soon enough your back at it. Stiffness I read is the result of muscles and ligaments damaged prior to the operation and I tend to agree since my right knee which was the worst of the two feels stiffer after prolonged sitting or walking. My problem is weight gain 12 lbs. in two years. I played ice hockey and softball in season and now I cannot although my mind says I’m 18 and yes I can. I walk daily and have increased from one 1/2 hour to 3 20 minutes walks. Anyone have a suggestion? Ballroom dancing is out and swimming is not something I enjoy. Has anyone tried a gym with a personal trainer to guide you through? I would appreciate feedback. Thanks and good luck to you all. Thanks for visiting my site and leaving your insightful tkr comment. It’s great to hear how well you’re doing. I have consulted with a personal trainer and received a number of strengthening exercises that involve fitness machines. Gulp..
For cardio…have you considered an elliptical or stationary bike? What a great blog! My tkr was Jan. 14.doing well, flexibility about back, and came across this when I was told I probably will not kneel, at least for a year, if ever. Reason is my kneecap was also replaced. I was wondering how many people can kneel with a replaced knee cap. Thanks!! I am 4months post op bilateral partial and work out at the gym 3 times a week. Yes you can do whatever you are strong enough to do. The sooner the better. I had a TKR May 8th. I just saw my doctor today for my 12 week check up so he could release me for work. I asked him at my check up, if and when I can kneel on that knee. His answer was “Never”. He said kneeling on it can damage it. I think I’ll listen to my doctor. Is there an exercise you do to be able to kneel down ? Thanks for visiting my site. I just wrote a post answering your question. Take a look! Good luck and keep in touch! IT’S BEEN 2YRS SINCE MY OPP TOTAL ON LEFT KNEE ,I CANT BEND DOWN TO PAINT OR LAY TILE,it feels like my knee is dead, But pain full getting up , Forget the tub i have to try and roll over no way ,Iwill never have a knee opp again it don’t work you have more problems after, SO WHY DO DR’S DO IT ?. I am a yoga teacher and have a number of women who are post TKR coming to my class. They are worried about kneeling, which is why I found your blog while researching normal healing post TKR. You mentioned in an earlier blog about an Australian woman who teaches a TKR class. I would like to contact her, can you help? I believe I can provide a safe class for these women. I would appreciate the chance to share my thinking with another yoga teacher. Thanks for visiting my site and leaving your tkr comment. Since my site has been around for seven years, there are a few posts on my site from yoga teachers. I recommend using the search box found on my home page’s upper right-hand corner to find the information you need. Keep in touch and good luck! I am 56 and 6 weeks post-op bilateral knee replacement. My doctor and my physical therapist both told me I should not kneel due to the ‘button’ on the inside of the replaced knee caps. They are prone to becoming wedged and/ or bent if forced against the joint prosthesis, which would necessitate another surgery to undo the damage. I have tried to garden and have found the easiest position is seated on a low stool (higher than a footstool). To rise I can use the legs of the stool or the seat itself for leverage and support. It’s not the best solution but it works for now. P.S. should anyone be concerned about doing both knees at one time, I would highly recommend it. Not only do you go through the pain only once, the cost is lower in that only one year’s deductible must be met. I had a great surgeon and am progressing more quickly than expected. I am another who wishes I had not waited so long. One odd note: before surgery I was becoming bow-legged due to the bone deterioration. Post-surgery I feel as though i am now almost knock-kneed; my stance is that much different. I don’t much like it and I am hoping it adjusts itself as the swelling goes down. I am almost 1 year (Nov. 17) post-op for TKR. I bought a bathtub chair lift that worked beautifully! (Don’t have a shower and don’t want one.) So I was able be finally bathe down in the water–I live alone. After 6 months I had to take the tub lift in for a repair so I got brave and lowered myself into the tub empty to figure out how to get out. I flipped over and could use my good knee to rest on and push against the end of the tub with my surgery leg to brace myself–not slippery and no pain. My concern is I am probably going to get the “good” knee replaced. I NEED TO KNOW HOW TO KNEEL TO GET OUT OF THE TUB THEN. But my doctor also told me to NEVER kneel again unless I put something under my shin and rest my weight there with my knee hanging out over into space. I haven’t tried that yet–but am trying to get brave about doing it. HAS anyone else done this? Thanks for stopping by and leaving your tkr comment. I have not tried that, but perhaps others reading this have. I have written about kneeling on other posts on this site. Take a look around! So What is the point in TKR? For me I was thinking I could do my Senior First Aid for another 12-15 years and my yearly CPR which is mandatory to kneel to be assessed, which of course is BULLLSHIT because even in pain adrenaline kicks in and makes anything possible, I know because I have done it on my fucked up knees more than once, so now I’m thinking if I want to stay in the job I love, full time carer or Community support worker, best I forget TKR and live on drugs just so I can kneel to please the assessors who likely have never been in a real time life saving situation anyway. I really don’t know what to do anymore, for my own health and general day to day living I need 2 TKR’s but having that screws up any chance I have of working in a field I’m GOOD at.. So maybe Ill just go on a permanent disability pension and let someone else have a job. Because im not going to have risky surgery for nothing. Any legitimate, legal advice/help here? Thanks for stopping by and leaving your tkr comment. Everyone is different. As I have stated throughout this site, and on my home age, I do not offer any advice here. I only share personal experiences, with others pitching in with their own insight. I do not regret having a tkr one bit. Great that after the replacement of knee you still kneel but recently one of my friends mom also done the replacement but she was unable to kneeling down. And even her mother cannot walk and even cannot take a bath also. So she hires a servant to her mom and for bathing, she installed a walk in tub phoenix to give her spa bath. And that tub also gives her body massage because tub has a hydrotherapy inbuilt system. for too long. The first surgery went great and the second surgery was the harder one. I had my TKR on Jan.3rd 2017 and am know about 8 1/2 weeks after surgery. I have been doing all my PT 2 times a week, but also work on knee at home, riding bike 2 miles, tread mill 1/2 mile at this time. But last Friday at PT I asked how long it takes to be able to kneel. I was told that if I wanted I could try it right now. Was given a thick pad to try on and being very careful holding onto table got onto good knee then slowly put weight on left knee. I was able to put full weight on replacement knee. I went back and forth from knee to knee for about maybe 7 times. Then due to only having about 102 degree bending, I slowly tried to lean back to make knee bent more, only to a point that did get a little painful. I only had pain form the scare it self. I just ordered a 2 1/2″ pad for home that I will use for a few seconds each day in my exercising. As I have to be able to get on my knees while at work sometimes. As I work repairing houses for living, I will only do that at work using knee pads like I always do. I just wish that I could sleep all night again. Knee gets stiff at night and have to either bend it a lot or straighten it out all the way. About ever 1 to 2 hours this happens. Thanks for taking the time to leave such an insightful tkr kneeling post. Your fortitude and experimentation is admirable. I am certain others will benefit from it, as well. I had my left knee replaced in Feb 2017. I am a bath remodeler and tile setter by trade. I was able to install a tile floor at 4 months. Yes it hurt and was difficult to get up and down and I experienced more inflammation and pain after, but with icing and rest; I was back to my normal pain level in a couple of days. I have continued to work on my knees with knee pads of course since then and it has gotten easier. A benefit is that it forces me to more bending movement and I actually feel less stiff when working. I am an avid deer hunter and in Nov was able to drag a deer down a steep mountain with a drop of about 1500 ft without too much difficulty. Before my TKR this would not have been possible. People said I looked liked Grandpa McCoy when walking. My right knee is scheduled this Feb and though it’s been a hard year, I am optimistic. It took me a while to be able to kneel. For the first two weeks of trying all I cold do was to get my knees on the floor and supporting my weight by laying on my couch with both knees on the carpet. I worked at that for two weeks and then was able to kneel while bending forward. It took a week before I could have my body strait up while kneeling. A couple weeks later I was able to kneel without and problems for 7 minutes, probably could have done it longer but it gets boring kneeling while looking at the sofa.